Looking to prepare your Apprentices for career success? This programme is an intensive development experience that is suitable for apprentices from any discipline. Designed by DCo and held at Newgale Lodge, this residential course will support your apprentice intake by developing the soft skills that they need to excel in the workplace. There are five core areas which we have identified as critical to shaping apprentices into effective and valuable members of a company.  These areas will be explored and analysed over the course of the five days at Newgale Lodge in a range of challenging ways. The programme will deftly combine classroom-based learning – whilst avoiding leaving participants poring over a textbook or flat PowerPoints – with experiential hands-on tasks, allowing apprentices to expand their practical knowledge of essential skills and to really challenge their boundaries, all whilst utilising the beautiful local area surrounding the Lodge. The Development Company have expertise in supporting apprentice progression, and our vibrant, passionate and challenging consultants and technicians have an abundance of experience in delivering programmes and bringing out the best in all delegates. A residential course based at Newgale Lodge, which is proudly owned by The Development Company, takes delegates out of their workplaces and homes, away from their day-to-day routines and stresses and into the unknown, which makes the course a lot more intense, ensuring that everything learned during their time at the Lodge will be retained far into their future careers. The local area is an integral part of the course; delegates will take part in activities such as coasteering, which will present each participant with a personal challenge, requiring them to work as a team to traverse difficult paths and to encourage each other, whilst also developing their self confidence.